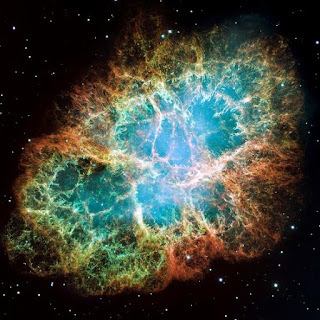 Supernovas are awesome things that only happen very far from earth and don’t affect us, aren’t they? Well, it turns out they do, says Adrian L. Melott in this week’s Nature. But how have supernovas changed life? And will it happen again? Supernovas happen when stars that are eight times as big as our sun come to the end of their lives. If these stars are going to die, their cores get so heavy that they implode. This implosion creates a huge shockwave, which rips the outer layers of the dying star apart. This layers then start float around the imploded star, and they form a nebula, like you can often see in beautiful pictures taken by Hubble. The implosion also emits all kinds of radiation of different wavelengths, like visible light, that’s the reason we could be able to see a supernova, if one went off, or radio waves, but also dangerous gamma- and X-rays. The supernova also sends all kinds of radioactive materials into space. Fortunately, supernovas have never happened so close to earth that we felt any of the consequences of these gamma- and X-rays, or have we? Anton Walnner and his team have found extremely large quantities of a radioactive material in the earth’s crust. Sometimes even 40 times as much as normal. After analysing the radioactive material, they concluded that they must have come from supernovas. 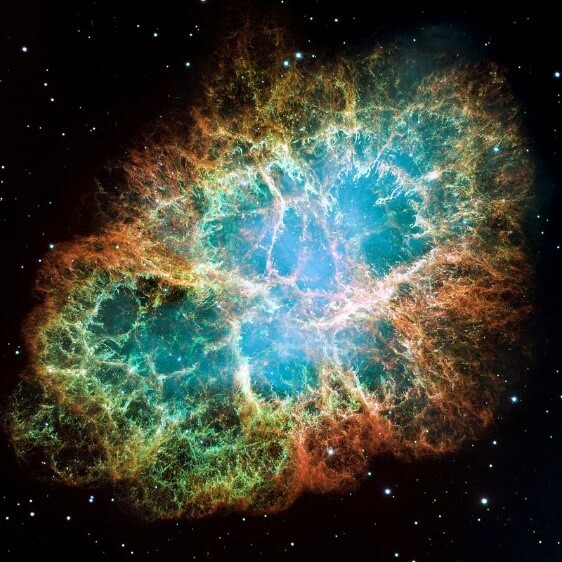 Multiple supernovas in fact, which occurred in two spurts; one spurt around two and a half billion years ago and another around seven and a half billion years ago. These supernovas didn’t cause any mass-extinctions, since the last one was 65 billion years ago, when the dinosaurs died. But the supernovas might have had another consequence. 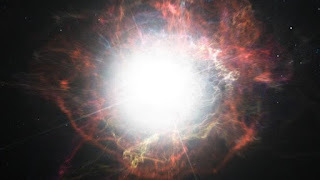 The last spurt of supernovas was around two and a half billion years ago, and around that time, a new ice age started. Although scientists haven’t been able to prove a connection between supernovas and ice ages yet. It is a fact, however, that the evolution of humans was hugely influenced by this ice age. So we might thank our existence to supernovas.